Japan’s Nuclear Disaster Problems At Fukushina is a big issue. 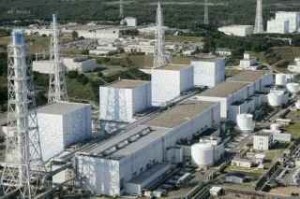 Japan is facing an insurmountable crisis one after another, as it faces again the next fiasco on its Fukushima nuclear power plant. US nuclear inspector, Dale Klein, is seeking the assistance of foreign experts, but does not see a quick solution to be forthcoming. This week, around 100 American nuclear chiefs from various nuclear power plant reactors are coming for a visit. They are en route to Japan and will take a local bus to Fukushima. Dressed in protective suits, they will walk past through the ruins that were left behind by the most potent disasters to hit the country in the last century – earthquake, tsunami, and the triple nuclear reactor meltdown in March 2011. "I can guarantee that after they are done with these, all these chief nuclear officers will put more efforts on the respective company’s safety precautions," says Dale Klein, who took the same trip previously. Klein, who was formerly the head of the United States Nuclear Regulatory Commission until 2009, is now the sitting chairman of the Nuclear Reform Monitoring Committee, which serves as adviser to the Tokyo Electric Power Company (TEPCO). The company previously ran the Fukushima power plant and is now the agency that is primarily tasked to clean up the site. As far as industry experts and the Japanese public are concerned, the company has only proven one thing– that the danger is far from over and there are many things to be done yet, in order to handle the aftermath of the disaster. Klein is generally considered a well-mannered man, but he reacted forthrightly when he recently talked to the company that hired him. "You have no company direction," Klein told the company president, Naomi Hirose in person. He added, “You do not have a specific plan of action." As instilled in Japanese customs and tradition— the company head, for being chastised, apologetically replied, "My deep regrets for not being able to do the things that are expected of me." “TEPCO has been in crisis for a long time," says Klein and he added, “With no apparent improvement in the future, it is most likely that Japan would do something very un-Japanese – and that is, to ask for foreign help”. There were indications that the Japanese bureaucracy was contemplating on inviting experts from both Europe and the US. TEPCO might have taken the first step towards this direction, when it hired Lake Barrett, who is the former top man of the US Department of Energy's Office of Civilian Nuclear Waste Management. Barret’s work assignment consists primarily of coming up with ways on how to decommission the plant and deal with contaminated water on the site. Barrett was instrumental in the cleanup operations at the Three Mile Island plant, which encountered a partial meltdown in operation way back in 1979. Japan took a brave stance on acting like it did not need any help from other countries — and that TEPCO would be able to handle everything. This was said despite the company’s little experience in high level disaster management as compared with the high tech companies in Germany. It can be said that the situation at Fukushima after more than two years of the nuclear meltdown incident, can be plainly described as shaky. Instead of coming up with a thorough disaster management work plan, TEPCO was being seen as doing a slapdash mode of attack on the otherwise fragile situation. Perhaps the most outrageous anomaly that occurred recently, was when a rat got enmeshed into the switch box which resulted to a short circuit in the entire operation. What ensued was that this busted the makeshift coolers for spent fuel pools, to malfunction. For around 30 hours, temperatures increased unabatedly in the pools that held tanks of spent fuel rods that TEPCO was trying to store safely. Charred remains were all that remained of the rat. TEPCO pumps out 400 tons of both contaminated cooling water and groundwater, out of Fukushima’s radioactive site. The water is seen to contain dangerous levels of cesium, strontium, and tritium that were supposed to be emptied into the ocean. Instead, TEPCO had the liquid placed in tanks of around 12 meters by 11 meters high, and riveted together before storing. Satellite images have shown how these storage tanks have multiplied at Fukushima from a few tanks in 2011, to several hundreds by mid-2012. At present, there are around 1,000 plus of such storage tanks, with plans for over 2,000 more by 2015. TEPCO is definitely being surrounded by contaminated water. It was apparent, per incident reports gathered on the site, that when one of the containers leak, it took several weeks before the company's foot-patrol to notice it. By then, around 300 tons of contaminated water had already seeped out of the storage tank. This is considered a level three serious incident by the International Nuclear and Radiological Event Scale (INES). As a matter of comparison, the Chernobyl incident and the triple meltdown in Fukushima were classified at maximum level seven. There were strong indications that some of the tanks might also leak, especially with a few nearing their expiry dates. If incidents occur, it might be hard to pinpoint the ultimate culprit since only a few tanks were outfitted with sensors that served as an early warning device. "These are not the right containers — which at the same time, are not stored in the right place, nor are they made of appropriate materials and built in accordance to specifications," said Michail Schneider, a nuclear expert and one of the authors of the World Nuclear Industry Status Report. Complete disorganization like frequent malfunctions, the bungling of operations, and a seeming lack of direction were seen to be what was happening in Fukushima. Countless of accidents happened like – radioactive cloud steaming out of ruined reactors; and leaks being plugged by the use of ordinary tape. Then there were fears of radioactive water contaminating the groundwater and flowing out into the ocean. This was denied vehemently by TEPCO, but fears about these continue to flourish. TEPCO President Hirose, recently apologized for the radiation that infiltrated the coastline of Fukushina, that resulted to the fish kill. "The frequent accidents are so many and dangerous that TEPCO ends up fixing them rather than turning its attention to its intended plans,” says Michael Maqua, of Society for Plant and Reactor Safety (GRS), in Cologne, Germany. Maqua is much too horrified to see at what TEPCO is doing about the situation. "If this would have been a school and I was the teacher, the TEPCO group are in great danger of failing the course,” he said to emphasize the point. Currently, the Japanese government is releasing the needed funds to handle the Fukushima situation. One of these plans, were to construct a steel barrier between the plant and the ocean to keep radioactive water from streaming out into the sea. TEPCO also plans to freeze the ground area surrounding around the nuclear reactor perimeter, by coming up with a subterranean ring of permafrost with an area of 1.4 kilometers to prevent the groundwater from entering the ruined complex . This technique has been used by the mining sector, but has never been applied on a larger scale or on a long-term basis. "We can't assume that it will be workable," says Macqua. A critique of this plan, a German engineer who is with the industry, is vehemently against the plan, saying that a permafrost ring will not be an effective barrier to water entry, if not also sealed on the sea ground level. As regards the radioactive contents of the 1,000 plus storage tanks, there is only one foreseeable solution – and that is, for the contaminated water to be cleaned before it gets thrown out into the ocean. It is technically possible to filter out the contaminants, cesium and strontium. Tritium, although not as dangerous as the other two, cannot be filtered out. The Japanese public is being admonished for the date of the release of this particular water — much to the horror of the public, particularly the fisher folks. TEPCO just recently finished the construction of a filtration facility , but this did little to appease the public’s fears on the company’s ability to handle crisis management — hardly had this facility started when it went off again, and so was rust seen to creep in with leaks sprouting with more frequency the last several times. Nuclear Reform Monitoring Committee chairman, Dale Klein, will be in Japan the second time around this week to talk to TEPCO's managers, who still welcome his help, despite his previous acrimonious remarks. But it remains doubtful if they will be amenable to what he is going to say to them this time — that the country should create a new company comprising of international experts for the cleanup operation. TEPCO, he believes, is incapable of handling the extremely difficult water situation, a problem that, he says, would persist until the next decade.